The Upper Catawba Falls is part of a moderately difficult hike that passes the "regular" Catawba Falls. 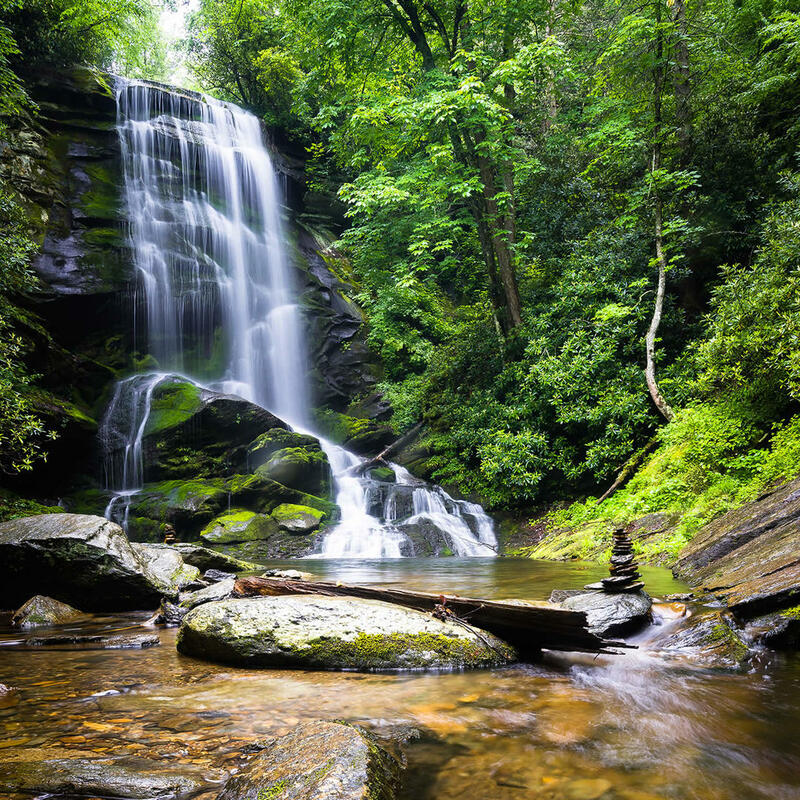 First, follow the trail to the multi-tiered, craggy waterfall that descends 100 feet into a lush pool. The beautiful trail hike is accompanied by the soothing sound of rushing water. If you're a seasoned hiker, continue on to the Upper Falls which is a gorgeously gushing cascade falling 50 feet.